In courts and behind closed doors, Italy is aggressively staking its claim to antiquities. ARCHAEOLOGY asked Andrew L. Slayman, who covered this story in his 1998 pieces "The Looting of Italy" and "Geneva Seizure" to bring it up to date. Slayman will report on major developments in the story this spring. After years of cajoling, bargaining, begging, and threatening one museum after another, for the return of one artifact after another, Italy has finally said enough. Last spring, Italian prosecutors announced that they would try Marion True, curator of antiquities at the J. Paul Getty Museum in Los Angeles, for criminal association and receipt of stolen property in connection with the Getty's acquisition of antiquities said to have been illegally unearthed in Italy and smuggled out of the country. True is believed to be the first American museum curator to come under criminal prosecution abroad in connection with the antiquities trade. Also indicted was Robert E. Hecht, Jr., a New York- and Paris-based antiquities dealer from whom the Getty has bought a number of pieces over the years. Their trial, capping a decade-long investigation of the antiquities trade by Italian authorities, opened in Rome last year and is still under way. Dealer Giacomo Medici, also a target of the investigation, was tried separately, convicted of trafficking antiquities, and last year sentenced to ten years in prison and a €10 million fine (then about $13 million); he remains free while appealing his conviction. A third dealer under investigation, Robin Symes, was recently released from prison in Britain, having served seven months out of a two-year sentence for misleading the court in a separate case; Symes has yet to be charged in Italy. Reached by telephone in New York, Hecht maintained his innocence but declined to comment further until he has had an opportunity to make his defense to the court in Rome. Neither Medici nor True could be reached, but both have consistently denied the charges against them. Citing the pending litigation, Getty spokesman John Giurini declined to comment, but in a series of statements the museum has denied ever knowingly acquiring "an object that had been illegally excavated or exported from Italy or any other country" and affirmed its belief that the current "trial will result in Dr. True's exoneration and end further damage to her personal and professional reputation." At the same time, the Metropolitan Museum of Art in New York has been negotiating feverishly with Italy over a number of the Met's most prized antiquities, including the famous Euphronios krater, purchased from Hecht in 1972 for $1 million, and the so-called Morgantina treasure, a 15-piece silver service bought in two lots in 1981 and 1982 for a total of about $2.75 million. Starting last fall, officials of the Met and the Italian Ministry of Culture have shuttled back and forth between Rome and New York, trading repatriation proposals and evidence as to the artifacts' origins. As this article was being prepared for posting, the Met had just announced that the two sides were on the brink of an agreement, under which the museum would acknowledge Italian title to the krater, the silver treasure, and four other important artifacts, and eventually return them to Italy. While a number of points remain to be resolved, both sides have cast the recent development in a positive light. According to the Associated Press, Italian minister of culture Rocco Buttiglione says he hopes to have a final agreement later this month. Italian authorities are arguing that at least 42 antiquities...were stolen or illegally dug up in Italy and smuggled out of the country. Late last month, Getty Museum director Michael Brand, who was named to the post last August but only recently took up his duties, went to Rome for preliminary discussions about the disputed artifacts with Italian officials, including culture minister Buttiglione. The substance of the talks has not been made public, but in a joint statement the two sides described the meeting as "frank and productive" and indicated that they would be meeting again soon for further negotiations. The Etruscan necropolises around Rome, the ancient Greek ruins of Sicily and southern Italy, and the Roman ruins lying thick about the country have long been favorite targets of looters and smugglers of ancient art. Legal protection for antiquities has existed in some parts of Italy for centuries. "Decrees of the Bourbon Kingdom of Naples promulgated as early as 1822," writes archaeologist Ricardo J. Elia of Boston University, "regulated the ownership, excavation, and exportation of antiquities in much of South Italy." The first antiquities law covering the modern country of Italy went into effect in 1902. This law was reaffirmed and updated in 1939 with the passage of "General Regulations for the Protection of Things of Historical and Artistic Interest," which asserts state ownership of all artifacts discovered after 1902 and forbids the exportation of such items without a permit. Based on this law, which claims national ownership of antiquities in addition to regulating their excavation and exportation, artifacts dug up and taken from Italy without permission can be said to be stolen, and not just "looted" or "smuggled." But this legal protection has done little to stem the flow of artifacts from Italy's archaeological sites. Between 1949 and 1973, some 400 out of 550 tombs at the Etruscan necropolis of Cerveteri, north of Rome, were looted. Of the Sicilian site of Morgantina, University of Virginia archaeologist Malcolm Bell, III, has said, "In the early eighties, clandestine digging at Morgantina was almost uncontrolled; we were having to guard our own trenches at night and actually suffered some losses." And a study by Elia of Apulian red-figure pottery, made and almost always discovered in southern Italy, found that some 4,300 vases had come to light between 1980 and 1992, many of them likely from illegal digs. Since most Apulian vases are found in tombs, and, according to Elia, one vase has been discovered for every nine tombs scientifically excavated, an enormous number of tombs must have been plundered to provide the market with 4,300 previously unknown vases. Robert E. Hecht, Jr., now 87 years old, graduated from Haverford College in 1941, and in 1949 he was a fellow in classical studies at the prestigious American Academy in Rome. By the early 1960s he had made his debut on the antiquities stage, and in 1962 he sold a fourth-century B.C. gold phiale, or libation bowl, of unknown--or at least unpublished--provenience to the Metropolitan Museum of Art. According to The Los Angeles Times, Giacomo Medici, now 67, entered the antiquities business around the same time, and by cultivating contacts among Italy's tombaroli, or tomb robbers, soon rose to be one of the most prominent Italian dealers in ancient artifacts. According to The Times, Hecht and Medici first met in Rome in 1968, and the two soon became business partners, at least informally, with Medici's tombarolo network supplying the goods and Hecht's museum and collector connections providing an outlet on the international art market. The third dealer, Robin Symes, also now 67, has been described as "the core" of the antiquities trade and "everyone's boss" by Roberto Conforti, former head of art recovery for the Carabinieri, Italy's national police. According to The Times, court records portray Symes as "the trio's frontman to high-end clients," funneling Medici's finds to such prominent buyers as New York diamond merchant Maurice Tempelsman (who would later sell much of his collection to the Getty). All three men--Medici, Hecht, and Symes--have acknowledged dealing in antiquities, but have repeatedly denied ever having smuggled or sold looted artifacts. As for a conspiracy, said Hecht in a Los Angeles Times interview, "That's ridiculous. I bought from Medici, and other people bought from Medici too. I sold a couple objects to Robin Symes. So what?" Yet Medici and Hecht were no strangers to the law. According to The Times, Medici served a three-month prison sentence in 1963 on charges of smuggling Etruscan vases. In a widely cited incident, Hecht, for his part, had been detained in Turkey in 1962 and subsequently declared persona non grata after he was seen inspecting old coins on a flight from Izmir to Istanbul. As soon as the magazine appeared, a furor erupted over the vase's provenience. According to Hoving's account of the scandal in his 1993 memoir, Making the Mummies Dance, Hecht said he had negotiated the transaction on behalf of an Armenian man living in Lebanon, Dikran Sarrafian, whose father had acquired it around 1920. But investigations by the Italian police and The New York Times uncovered evidence suggesting it had been illegally unearthed at Cerveteri in 1971. A witness came forward, however, claiming that she had seen such a vase, in fragments, in Sarrafian's apartment in Beirut. Faced with this and other conflicting evidence the authorities found themselves unable to prove their case, though the Italians continued to maintain that the vase was theirs. Sarrafian and his wife later died in a car accident that Hoving called "mysterious." Hoving, for his part, would become convinced that the masterpiece had in fact been dug up at Cerveteri--and then provided with the provenience of a similar, lesser example in Sarrafian's collection. According to The Boston Globe, Hecht was barred from Italy for 10 years for his role in the transaction. The 1970s saw the continuing pillage of archaeological sites in Italy and elsewhere, as well as an increasingly organized movement to halt the trade in illegally unearthed artifacts. In 1970, UNESCO had passed its landmark cultural property convention, which bound member nations to fight the "illicit import, export, and transfer of ownership of cultural property." Italy ratified the convention in 1978, effective the following year, and the United States followed suit in 1983. In the late 1970s, a handful of American museums adopted acquisition policies to discourage the collecting of looted antiquities; the University of Pennsylvania Museum's 1978 policy, for example, states that the museum will not acquire "any materials known or suspected to be illegally exported from their country of origin." Around the same time, an American court ruled in United States v. McClain that antiquities dealers could be subject to criminal prosecution under the National Stolen Property Act for knowingly trafficking in artifacts from countries (like Italy) whose laws claim national ownership of cultural patrimony. But many museums and private collectors continued to buy, relying on dealers to provide enough of a paper trail so that they could claim to have acted in good faith, and counting on the fact that with multiple possible countries of origin for many kinds of artifacts, it would be difficult for any one country to lay a legally persuasive claim to any particular piece. In 1981 and 1982, the Metropolitan Museum of Art made another landmark acquisition, a 15-piece gilt silver service made "in Taranto [in southern Italy] or in eastern Sicily," according to Dietrich von Bothmer, then curator of classical antiquities, who wrote an article about the treasure in the museum's summer 1984 Bulletin. Although not the seller, Hecht appears to have been involved in the transactions, which cost the Met a total of about $2.75 million. In a story strangely reminiscent of the Euphronios krater, the vendor of record for at least one of the two lots was said to have been a Lebanese dealer, Nabil Asfar, according to Met correspondence cited in The Boston Globe. Bell notified the Italian authorities, and beginning in 1997 he and his Italian colleagues conducted excavations that identified the find spot of the treasure. The University of Virginia's Malcolm Bell first saw the treasure at the Met in 1987, and recognized it from a description that had circulated several years earlier of a "silver service" said to have been found at Morgantina. Bell, who is now vice president for professional responsibilities of the Archaeological Institute of America, notified the Italian authorities, and beginning in 1997 he and his Italian colleagues conducted excavations that identified the find spot of the treasure. Italian investigators were also reportedly able to track one of the looters, who described the pieces in some detail. Beginning in 1996, according to The Boston Globe, the Italian government tried to persuade the Met it had proof of the treasure's illicit origins, but Met director Philippe de Montebello dismissed the evidence as inconclusive, arguing in part that anyone who had read von Bothmer's article could have described the pieces as well as the alleged looter had. When Bell asked for permission to study the artifacts to see if he could determine their provenience, the Met refused. But evidence gathered by Italian investigators may help illuminate the origins of the Euphronios krater and the Morgantina treasure. In a journal seized in 2001 in a raid on his Paris apartment, Hecht reportedly writes that he obtained the vase not from the Lebanese dealer Sarrafian, but from Medici. In addition, True and Jiri Frel, one of True's predecessors at the Getty, have both reportedly testified that Dietrich von Bothmer once told them exactly which tomb at an archaeological site near Rome the piece had come from. Hecht has since disavowed the version of events recorded in his journal; according to The Los Angeles Times, Medici has said he played no role in the Euphronios affair, and von Bothmer has denied True and Frel's account. As for the Morgantina treasure, The Times reported last fall that Italian authorities have uncovered evidence they believe ties it more conclusively to Italy, including testimony from two Sicilians who claim they first saw the pieces there. Last November, de Montebello met with Italian officials in Rome about a number of disputed artifacts in its collection, including the Euphronios krater and the Morgantina treasure. Then, in January, the Italian Ministry of Culture sent a formal proposal to the Met. Under the proposal, according to ministry lawyer Maurizio Fiorilli, who was quoted in The New York Times, the Met would return several antiquities to Italy including, after 2007, the Euphronios krater and the Morgantina treasure. The Met would also compare the rest of its collection to the photos seized from Medici, and return any pieces found to match. In exchange, Italy would lend the Met comparable artifacts for stretches of up to four years, and the museum, like other institutions, would be permitted to sponsor excavations in Italy and take finds to the United States for study. As the two sides were exchanging proposals, Italian officials were providing their counterparts at the museum with materials to substantiate their argument about the origins of the krater, the silver service, and four other artifacts at the Met. Very recently, de Montebello was quoted in The New York Times as saying that the evidence provided by the Italians had convinced him that a "substantial or highly probable" chance existed that the artifacts had been illegally unearthed and exported from Italy. The museum subsequently pledged to acknowledge Italy's title to the items, and return them to Italy at various points, in exchange for long-term loans of other materials. Points remaining to be resolved include which artifacts would be returned to Italy when and what items would be loaned in exchange, but according to the Associated Press, the museum's board has now authorized de Montebello to complete the agreement. Marion True, now 57 years old, had served as a curatorial assistant at Boston's Museum of Fine Arts in the early 1970s. While there, she is said to have met Hecht, who had been one of the museum's suppliers of classical antiquities since about 1960. True joined the Getty as an assistant to Jiri Frel, then antiquities curator, in 1982. Frel had used both Hecht and Medici as sources, according to The New York Times, and through them and others had begun to build the Getty's collection. In 1984, however, he was forced to step down as curator amid scandals involving a tax scam and the purchase of forgeries, according to The Times of London. Frel left the country shortly thereafter, according to The Times, but did not officially resign from the Getty until December 1986. Arthur Houghton took over as acting curator, but he resigned in 1986 after only two years at the helm, and True--having received her Ph.D. from Harvard the same year--was named curator. The year after True became curator, the Getty instituted an acquisition policy for classical antiquities which sought to ensure that all acquisitions be made "in accordance with the 1970 UNESCO convention." Among other precautions, the policy stipulated that before acquiring an object, the museum notify possible countries of origin and check the artifact against a data base of missing and stolen artworks maintained by the International Foundation for Art Research (IFAR). In addition, the museum would require the vendor to guarantee that the object was authentic, that he or she had "good title" to it, and that the object had been "legally exported from its country of origin." The museum also promised to display and publish all new acquisitions promptly. Despite its stated goal of holding the Getty to UNESCO's standard, the 1987 policy required only that the Getty not be able to prove that a proposed acquisition was illegitimate. While a match against IFAR's data base could prove that an artifact had been stolen from a museum or existing collection, because the registry includes only reported losses the absence of a match could never prove that an artifact had not been illegally unearthed (stolen in the case of Italy and other countries with similar patrimony laws). Furthermore the policy did not prohibit the purchase of unprovenienced artifacts, nor did it require verification of an object's authenticity or legality by anyone other than the dealer. Between 1987 and 1995, when the policy was tightened, the antiquities department under True's direction continued to buy aggressively. Of the artifacts at issue in the case against True, 11 pieces or fragments thereof were acquired between 1988 and 1995. In 1988 the Getty purchased what was to become one of the centerpieces of its antiquities collection, a 7 1/2-foot-tall statue of a goddess dating from the fifth century B.C., identified by the museum as "Demeter, Hera, or more likely Aphrodite." The seller? Robin Symes. The price? Said at the time to be around $20 million. (The Los Angeles Times recently reported, based on leaked Getty documents, that the actual price was $18 million. ) When the statue went on display, Italian authorities almost immediately claimed it might have been looted, pointing to rumors of a large statue or statues discovered at Morgantina in the late 1970s. The rumor turned out to pertain to a different discovery, but according to The Guardian, the Italians continued to maintain that the Aphrodite had come from the site, based at least in part on the testimony of an unnamed tombarolo who lived near Morgantina. In 2001, a Swiss resident named Renzo Canavesi was convicted in absentia in Italy of arranging the statue's removal to Switzerland. While his conviction was later overturned on a technicality, according to The Los Angeles Times Italian authorities maintain that "the evidence of looting remains unchallenged." Nonetheless, some uncertainty lingers over the origin of the statue, and archaeologist Bell, for one, is not sure whether the statue came from Morgantina. The Etruscan bronze candelabrum bought from Atlantis Antiquities, along with a tripod purchased from the same gallery in 1990. Italian authorities have said that both pieces were stolen from a private collection in Italy and smuggled out of the country--by Medici, according to The New York Times. Hecht, with whom Atlantis is connected, has denied the Italian account, but the tripod was returned to Italy in 1996 or 1997 and the candelabrum last year. The Syriskos krater bought from the Fleischmans in 1992, since traced to Symes and Medici. According to evidence cited in The New York Times, the Getty had bought another fragment of the same vase from Fritz Bürki, a Swiss restorer, who has acknowledged selling things on behalf of Hecht. In addition, three artifacts acquired in 1993 are currently the subject of a repatriation dispute with Greece: a gold funerary wreath purchased from Swiss dealer Christoph Leon for $1.15 million, according to Getty documents and correspondence between Leon and True; the torso of a marble kore (a young woman); ; and a funerary inscription. Greek authorities have said the three artifacts were smuggled out of the country and indicate they will sue to get them back; the Getty has said that it will consider Greece's claim this year. In September 1995, Swiss police working with the Carabinieri, Italy's national police, raided four of Medici's warehouses in Geneva and seized thousands of artifacts, documents, and photographs. According to scholars who examined photographs of the seized artifacts, the material included items made and found in a wide range of places around the Mediterranean, including a great deal of material probably from Italy. The Carabinieri later described Medici as "the real 'mastermind' of much of the illegal traffic in archaeological objects." In a 1998 letter to ARCHAEOLOGY, Medici denied the Carabinieri's charges and asserted that the objects seized in Geneva were of lawful origin. One issue the Getty's 1987 policy had not explicitly addressed was whether the warranty of any dealer--no matter how well established--was worth the paper it was printed on. At the time the Euphronios krater was acquired, Thomas Hoving would later write, the Met director suspected that Hecht had "concocted" its provenience documents. "Beirut was the cliche provenance for any smuggled antiquity out of Italy or Turkey," he wrote. "Lebanon was as shopworn an origin as 'from an old Swiss private collection.'" And as True herself would later say in an interview with The Art Newspaper, "A lot of material enters museums' collections with documents that are trotted out when people need them, and have been completely manufactured." So in November 1995, under True's direction, the Getty revised its policy to allow the acquisition only of pieces that had been published before that date--those having what the Getty described as a "well documented provenance." While many archaeologists would have preferred a cut-off date of 1970--the date of adoption of the UNESCO convention--most viewed the Getty's new policy as a positive step, and lauded True for her role in bringing it about. To date, no other major American art museum has followed suit. "Out of 295 catalogued entries...not one has an archeological provenance, and only three (1%) are described as coming from a specific location. More than 85% have surfaced with no provenance at all. Eight percent are identified as previously held in another collection, and four percent are 'said to be from' a place.... More than 80% of the 295 catalogue entries are unpublished in any form. Nine percent were previously published in a book, article or exhibition catalogue. Eight percent were 'published' only in sales or auction catalogues." A subsequent study by Christopher Chippindale and David W.J. Gill of the 183 objects included in the show, published in the American Journal of Archaeology in 2000, found that more than 90 percent of the objects had no published provenience and had "surfaced" since 1974. According to The Los Angeles Times and The New York Times, a number of items in the collection have been traced to Hecht or Symes and thence to Medici; it is not known from publicly available sources whether the Getty was aware of this at the time of the acquisition. Nonetheless, the Getty agreed to acquire the collection, said to be worth $60 million to $60 to $80 million, buying a small number of the items outright and receiving the rest as a gift. Outraged, archaeologists pointed out that the acquisition appeared to violate the Getty's new policy. "The museums' 1994 publication of the Fleischman collection," wrote Elia in ARCHAEOLOGY, "created the 'well established provenance' that made it possible for the Getty Museum to acquire the previously undocumented collection without violating its own new policy." But True defended the museum's action: "This acquisition is in line with exactly what we said we would do," she told The Art Newspaper. "We went out of our way to be clear that we were not saying we would not buy any more unprovenanced material." But two high-profile cases were about to demonstrate that buyers in the United States could not count on U.S. law to shield them from repatriation claims, and drive home the point that, if the stakes were high enough, foreign countries might find it worth their while to see that dealers were held criminally liable in U.S. courts for their actions. In the first case, in 1997, a federal judge in New York ordered the return to Italy of a golden phiale--similar to the one that Hecht had sold the Met in 1962--that had been smuggled out of Italy and sold to financier Michael Steinhardt for $1.2 million. The ruling was upheld on appeal, and after the U.S. Supreme Court refused to hear the case, the phiale was returned to Italy in 2000 (see "The Phiale of Achyris"). In the second, in 2001-2002, a federal jury in New York found antiquities dealer Frederick Schultz guilty of conspiring to smuggle stolen antiquities from Egypt, which (like Italy) has a national ownership law (see "Selling the Past"). As the Steinhardt case was wending its way through the appeals process, the U.S. Department of State was considering Italy's request for a bilateral agreement with the United States, under the 1983 law ratifying the UNESCO convention, effectively barring the importation to the U.S. of whole classes of objects subject to Italy's 1939 antiquities law. In 1999, a number of archaeologists traveled to Washington for a hearing of the Cultural Property Advisory committee, tasked with making a recommendation on the request to the secretary of state. Only one representative from a major museum showed up: Marion True, from the Getty, who argued persuasively in favor of Italy's request for an import ban. The agreement was signed by both nations in January 2001, banning for a period of five years a wide range of carved stone, ceramics, metalwork, glass, and paintings made between the ninth century B.C. and the fourth century A.D. Along with better surveillance of archaeological sites and better understanding of their importance among local residents, the 2001 agreement is one factor cited by archaeologist Bell to explain a decline in looting that he has observed in Sicily over the past five to ten years. 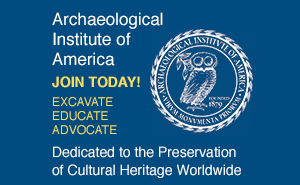 The agreement also called for the long-term loan of Italian archaeological materials to American museums and other institutions, and set forth a list of 22 specific shows--on subjects as diverse as goldworking, Pompeii, and ancient sports--that were already planned and could be adapted for U.S. display (see Jane Waldbaum, "Opportunity Knocks"). According to The New York Times, however, only two exhibitions have yet taken place under the new program: a show on Stabiano at the Smithsonian in 2004, and one on Pompeii running through March 26 at Chicago's Field Museum. Late last year hearings were again held on the agreement, set to expire last month, and the January 19 issue of the Federal Register carried the announcement of its renewal, effective immediately. At a conference in Viterbo, north of Rome, the following October, an Italian scholar presented evidence that a fragmentary red-figure kylix at the Getty had been taken illegally from Cerveteri. Meanwhile, Italy has continued demanding that American museums return pieces it says were stolen or illegally unearthed and smuggled out of the country. In 1996, Italian authorities began their appeal to the Met in the case of the Morgantina treasure. At a conference in Viterbo, north of Rome, the following October, an Italian scholar presented evidence that a fragmentary red-figure kylix at the Getty had been taken illegally from Cerveteri. The vase, dating from ca. 490 B.C. and attributed to Euphronios as potter and Onesimos as painter, depicted the sack of Troy, and the largest piece of it had been acquired "from a European dealer" in 1983, according to The Los Angeles Times. And in 1999, Italy filed a request with the U.S. government under the Mutual Legal Assistance Treaty seeking the return from the Getty of a red-figure krater attributed to the painter Asteas, according to U.S. Immigration and Customs Enforcement. Meanwhile, Italian prosecutor Paolo Ferri was widening his net. He named True as a target of his investigation in 2000, according to The Los Angeles Times, and the following year he questioned her in California. During the deposition, according to The Times' account, Ferri showed True photographs seized in the 1995 raid on Medici's warehouses, and True was able to identify some "three dozen things in 13 museums and seven galleries and private collections." While the list of pieces True identified has not been made public, her testimony seems likely to have been instrumental in providing Italian authorities with the ammunition they needed to charge not just Medici and Hecht, but True herself. The same year, according to The Times, police searched Hecht's apartment in Paris, seizing what has variously been described as his journal or a handwritten draft of his memoirs, in which he reportedly tells of his dealings with antiquities smugglers and museum curators. Although Hecht has since disavowed the text, according to The Times, saying that he made up parts of it to help sell the book to publishers, prosecutors have nonetheless entered portions of it into evidence in True's trial and his own. Media reports suggest that around the same time the Getty may have explored acquiring two major Greek artifacts of questionable provenience. First, in 1998, True is reported to have flown to Europe to see a bronze statue of a youth being offered for sale through Christoph Leon. Shortly thereafter, according to the documentary film Network, police seized the statue in Germany, at the same time arresting a Greek man who was subsequently convicted of smuggling. The statue, said to have been found in the Ionian Sea near Preveza, Greece, has been restored and is now on display in the National Archaeological Museum in Athens. Then, in 2001, The Los Angeles Times has reported based on leaked Getty documents, True briefly sought to buy another controversial bronze, of the Greek sea god Poseidon, alleged to have been smuggled out of Italy in the mid-1970s and sold by Symes to the British Railway Pension Fund. According to The Times, the museum eventually abandoned the transaction. The Times' account could not immediately be verified, and the Getty has strongly criticized the report in which it appeared. While Ferri's investigation was heating up, Getty museum director Deborah Gribbon was apparently conducting negotiations with Italian officials over the fate of the disputed artifacts. According to The Los Angeles Times, Gribbon went to Rome in June 2003 to meet with senior Italian officials, including Giuseppe Proietti of the Ministry of Culture. At that meeting, The Times later cited Proietti as saying, Gribbon rejected an Italian offer of antiquities loans in exchange for a pledge to stop doing business with the suspect dealers. The same year, Italian prosecutors working independently from the ministry announced that they were hoping to bring True and Hecht to trial. In 2004, according to The New York Times, the Italian Ministry of Culture "joined in the case after it became apparent that Mr. Ferri had assembled strong evidence to support his accusations, said Mr. Fiorilli, the ministry lawyer." Giacomo Medici, whose case had been separated from Hecht and True's when he opted for a special "fast-track" trial in exchange for more lenient sentencing, was convicted of antiquities trafficking that December. Medici continues to deny the charges, and he remains free while appealing his conviction. In the spring of 2005, Ferri made his move against Hecht and True. The broad outlines of the case have emerged in coverage of the ongoing trial by The Los Angeles Times, The New York Times, and other news organizations. With regard to True, the prosecution seems to be arguing that she conspired with Hecht and Medici to supply the Getty with artifacts that had been illegally unearthed and exported from Italy, and that she used the Fleischmans' collection to "launder" antiquities, giving them a clean bill of provenience before bringing them to the museum. Hecht is accused of participating in the conspiracy. As of the opening of the trial last July, according to The Los Angeles Times, Ferri had not said how much prison time he would seek for True or Hecht, but he had indicated that he would ask the court to fine True some $150,000 for her actions. In late September, The Los Angeles Times published several articles, based on leaked Getty documents, in which it described concerns among Getty officials about the museum's acquisition practices, a number of its vendors, and specific artifacts. According to The Times, the documents showed that the Getty "had signs it was acquiring possibly looted art." In addition, The Times reported that a 2001 review of the museum's antiquities acquisitions by Getty lawyers had uncovered documents and photographs that the Getty decided not to share with Italian prosecutors, and found that the museum had purchased more than 80 works of art from the dealers now being investigated. In a statement, the Getty denied ever knowingly acquiring looted antiquities and strongly criticized The Times for publishing an article based on "privileged and confidential information stolen from the Getty's files." Court records and leaked documents aside, however, some types of artifacts are statistically very likely to have come from particular places. For example, according to Boston University's Elia, the Getty acquired "more than 70 Apulian vases between 1971 and 1987"; four of these and one more acquired in 1996 appear in the museum's Handbook of the Antiquities Collection (2002), all without named find spots. But of the 945 Apulian red-figure vases whose find spots are known, Elia has written, more than 99 percent were found in Italy. The "vast majority" come from southern Italy, according to Elia, in parts of which legal protection for antiquities has been in force at least since 1822. The Getty's Handbook also includes some 26 Attic vases, which were made in Greece but traded all around the Mediterranean, including, in large numbers, to Italy. That the vases circulated so widely is often cited as evidence of the impossibility of proving which country they came from. But most of the ones that did not come from Italy probably came from Greece or Turkey --and those countries, like Italy, have longstanding antiquities laws. In very early October, True resigned her post amid a second scandal, this one over a loan of almost $400,000 she had taken out in 1995 to buy a vacation house on the Greek island of Paros, according to The Los Angeles Times. According to The Times, the loan had been arranged by a Greek lawyer to whom True had been introduced by Symes' partner, Christos Michaelidis, and the money came from Michaelidis or his family via a company called Sea Star Corp. It is not known whether True was aware of the ultimate source of the funds. Six weeks later, The Times reported that True had taken out a second loan to repay the first one--this time from the Fleischmans, shortly after the museum had agreed to acquire their collection. Both loans apparently violated the Getty's conflict-of-interest rules. Barbara Fleischman, who had joined the Getty's board in 2000, resigned her post as trustee late last month. In a statement, the Getty's "board commended Ms. Fleischman for her longstanding support of the J. Paul Getty Trust, and for the substantial contributions she and her late husband Lawrence have made" to the museum, but did not give a reason for her departure. The Getty returned three more artifacts to Italy, including the Asteas krater, the Etruscan bronze candelabrum, and a Greek funerary inscription said to be from Selinunte, in western Sicily. In November, just as prosecutors were gearing up for the second session in True and Hecht's trial, the Getty returned three more artifacts to Italy, including the Asteas krater, the Etruscan bronze candelabrum, and a Greek funerary inscription said to be from Selinunte, in western Sicily. The U.S. Attorney's Office in Los Angeles had filed a forfeiture complaint for the krater on behalf of the Italian government in April 2004, describing how the vase was discovered by a laborer during work on a canal in the 1970s, traded to a smuggler for a pig, and subsequently passed on to Swiss-based dealer Gianfranco Becchina, who sold it to the Getty in 1981 for $275,000. In a statement, the Getty admitted no guilt and said that while it believed "it had valid defenses to the claims asserted in the petition, it reached an agreement with the Italian authorities to return the Asteas krater in the interest of settling the litigation and demonstrating the Getty's interest in a productive relationship with Italy." Of the other two objects, the statement said only that it "based its decision to return [them]...on its own evaluation of evidence presented by the Italian government." Snapshots seized from Hecht and Medici showing unrestored artifacts, paired with images of the same artifacts in the Getty museum or catalogs, according to The Los Angeles Times. Among the before-and-after pairs, according to The New York Times, was the kantharos with the mask of Dionysos. Pages from Hecht's journal, according to The Los Angeles Times, in which he describes a visit to Cerveteri to view a newly discovered jar. "I immediately sent photographs to M. True at J.P.G.M.," the entry reportedly says. "Her first reaction was enthusiastic.... She said to bring it to Malibu as soon as it was cleaned, and she did not find unreasonable the price of $700,000." A letter True wrote to Medici in 1992, according to The New York Times, in which she said it was "helpful" to know that three pieces at the Getty "came from Cerveteri and the area of Monte Abatone." Based on the letter, prosecutor Paolo Ferri argued that Medici had to have been in touch with the tombaroli responsible, and that True knew about these contacts. True and Hecht's trial is expected to last about a year, with the next session scheduled for later this month and three more sessions between then and June. While True's lead defense attorney, Franco Coppi, has conceded that many of the artifacts at issue may have been exported from Italy illegally, both he and the Getty continue to assert that the objects were acquired in good faith. Thus far, the issue of artifact laundering does not appear to have been addressed in detail, but The New York Times has reported that that "several people in the art world close to the Fleischmans and the Getty" doubt that True planned to legitimate artifacts by passing them through the Fleischmans' collection. According to them, the Fleischmans did most of their buying in the 1980s, but the Getty did not become a serious candidate for receipt of the collection until after the Getty-Cleveland show in the mid-1990s. As for Hecht, he, too, continues to deny the charges against him. True's prosecution and Italy's demand for the return of artifacts could not come at a worse time for the Getty. The Getty Villa, home of the museum's antiquities collection, reopened on January 28 after an eight-year, $275 million renovation. Museum director Deborah Gribbon resigned in October 2004 amid rumors of a "toxic atmosphere" at the Getty and persistent disagreements between her and Barry Munitz, C.E.O. of the Getty Trust, the museum's parent organization. Munitz himself is currently under the gun, after The Los Angeles Times reported on his lavish expense account and questions about his role in a real estate deal between the Getty and Munitz's friend, billionaire Eli Broad. The trust is currently the subject of an investigation by the California Attorney General's Office, according to The Times, and in October the trust's board announced that it was forming a committee to look into financial and governance issues, as well as the Italian antiquities charges. But the fallout of the Getty's antiquities tribulations is already stretching beyond its walls and those of the Metropolitan. Italian authorities have also reportedly identified as looted a number of pieces in the Museum of Fine Arts, Boston; the Cleveland Museum of Art; the Minneapolis Institute of Arts; the Princeton Museum of Art; the Toledo Museum of Art; and the private collection of the late Leon Levy and his wife, Shelby White, in New York. Since 1960, Boston's M.F.A. has acquired some 1,200 coins and 115 other artifacts from Hecht or that Hecht had previously owned, according to the museum's online collections data base. Records from Hecht's trial list three objects said to be at the M.F.A. : an Attic pelike depicting jumping athletes; a bust of Sabina, wife of the Roman emperor Hadrian; and a portrait of the Roman emperor Elagabalus. The pelike, according to the M.F.A. 's data base, was acquired from Hecht's associate Fritz Bürki, with Hecht acting as agent. The "bust" of Sabina may in fact be a statue, also acquired from Bürki and "said to have been in an aristocratic family collection in Bavaria." The Boston Globe has identified the statue of Sabina as one piece shown in photographs seized from Medici or Hecht, along with two Apulian vases. All told, according to The Globe, Italian investigators have compiled a list of more than 30 M.F.A. artifacts they suspect may have been taken from Italian soil. In a statement, the M.F.A. said it had not yet heard from the Italian authorities, but was in the process of contacting them. "If, through this process, we were to discover that an object in our collection had been stolen," the statement read, "we would return it to its rightful owner, consistent with the policy and practice of the Museum." If True's trial and the Met's recently announced agreement with Italy are anything to go by, the tide is changing fast. Italy is already holding the carrot and stick of future loans over the museums with which it is negotiating: Museums that cooperate with Italy's repatriation efforts will get access to more, longer-term loans of Italian archaeological materials--but those that do not may find their supply of loaned Italian Renaissance paintings drying up. Like other antiquities-rich countries, Italy is pressing for the return of important antiquities and prosecuting the tomb robbers, smugglers, and dealers who facilitate their illegal removal from the country. What is unique about the present case is that Italy has not stopped there: In mounting a show trial of Marion True, it has gone--almost--to the top. If the prosecution succeeds, museum directors and trustees may well be wondering, are we next? By pursuing such an aggressive tack, Italy clearly hopes to deter museums and collectors in the future from buying unprovenienced antiquities that might have been found in Italian soil, and in so doing stem the flight of top-quality artworks from the country. But the Euphronios krater, the Getty Aphrodite, and the few dozen other superstars are only the tip of the iceberg. During the past few decades, thousands of "lesser" artifacts have come on the market and gone again, into museums or private collections--and no country can afford to pursue repatriation cases against every one of them. If they retake the masterpieces, source countries may succeed in populating their museums with ancient Mona Lisas. But unless they can successfully address the other 60 or 90 or 99 percent of the market as well, it will continue to flourish, and the decimation of archaeological sites will go on. Andrew L. Slayman is a former editor of ARCHAEOLOGY and director of Artful Media LLC. True's prosecution and Italy's demand for the return of artifacts could not come at a worse time for the Getty. The Getty Villa, home of the museum's antiquities collection, reopened on January 28 after an eight-year, $275 million renovation (see "Getty Villa Reopens"). On February 21, the Italian Culture Ministry and the Metropolitan Museum of Art signed an agreement for the return of 21 artifacts that Italy says were looted from its archaeological sites. Italy regained its artifacts, but did it lose the public relations war that followed? And will museums now embrace more responsible acquisition policies? 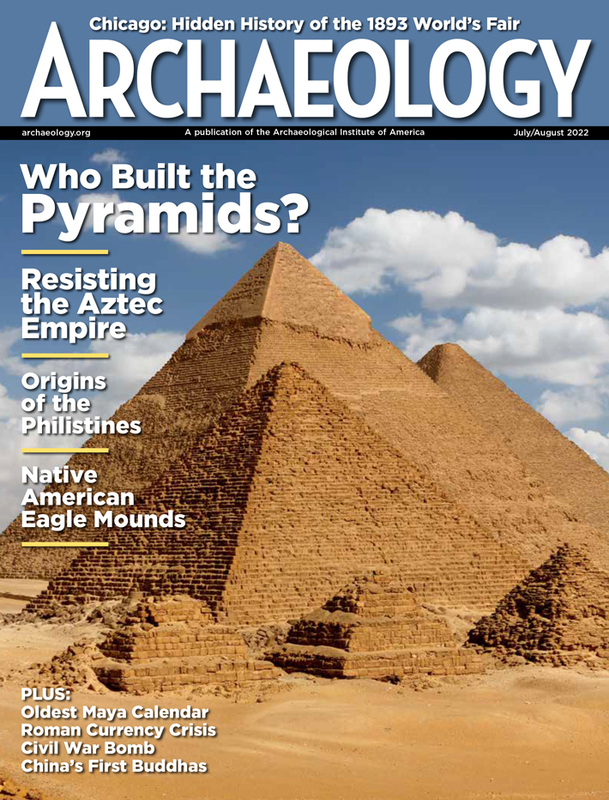 Archaeology asks Malcolm Bell, AIA vice president for professional responsibilities and a professor at the University of Virginia, in an interview, "Spinning Tales."